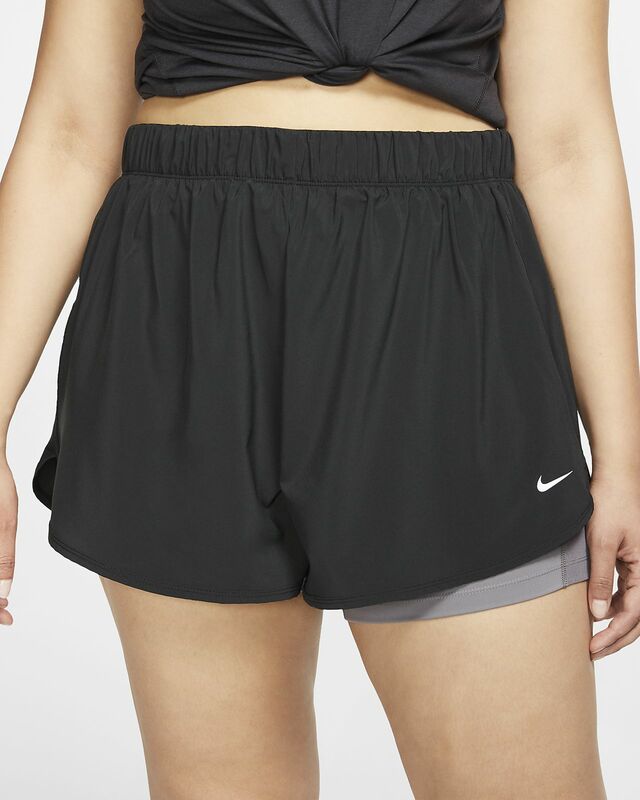 Your favourite shorts return with the Nike Flex Shorts (Plus Size), offering optimal freedom of movement. Their versatile 2-in-1 design pairs the compressive feel of the inner shorts with a lightweight, woven outer layer, providing distraction-free coverage during workouts. 2-in-1 design offers a compressive feel and coverage. Elastic waistband with internal drawcord offers an adjustable fit. Inner shorts provide coverage without restricting movement. Raised side seams let you move freely. Fabric: Body: 88% polyester/12% elastane. Tights: 83% polyester/17% elastane. Mesh: 81% polyester/19% elastane. Have your say. Be the first to review the Nike Flex.